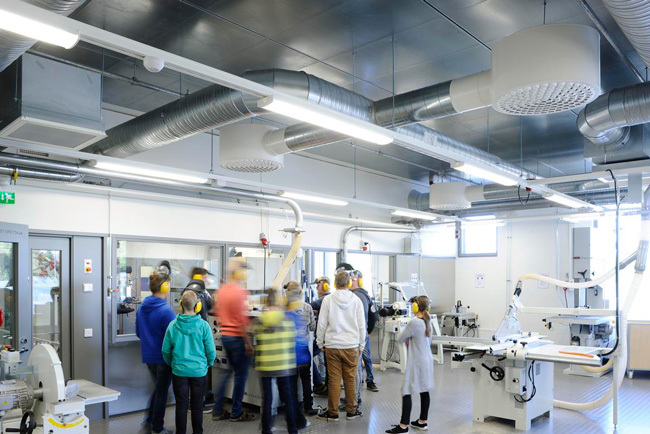 We supply and install a range of acoustic products that are ideal for use tackling occupational noise in demanding environments such as factories, warehouses, industrial kitchens and healthcare. Whether it is building noise barrier walls, targeting noise emitted from heavy industrial equipment, or meeting noise at work regulations, we recommend Ecophon manufactured panels. 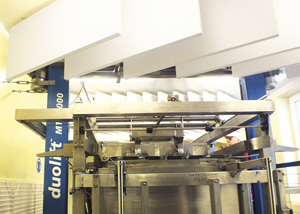 The industrial acoustic materials offered by Ecophon are divided into bespoke solutions for food processing factories and industrial kitchens and more general industry applications. We will undertake a full assessment of your space and advise you on the most effective treatments for your specific problem. We will also make a full acoustic assessment after our treatment is complete. Our design-led focus means we will make your room look and sound better. We will provide detailed CAD drawings of your space so you can see how our solutions complement your design objectives. 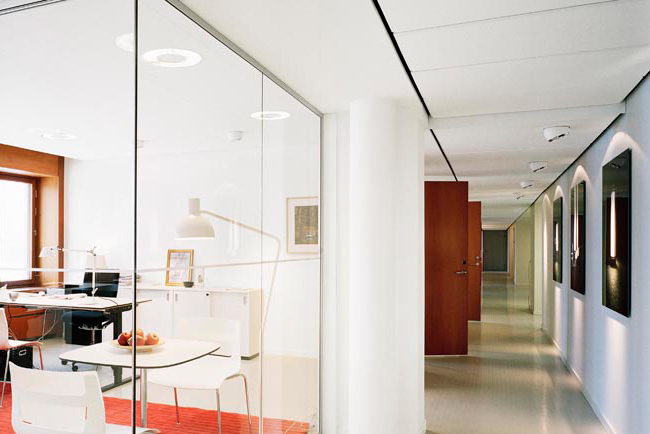 Our highly skilled fitters are experienced in the installation of every acoustic system we offer on this website. Our fitters have years’ of experience meaning we welcome even the most complex installations. 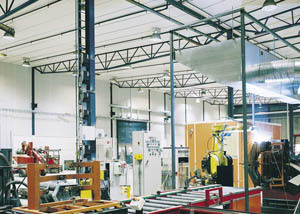 The following are acoustic panels designed specifically for industrial and manufacturing settings. 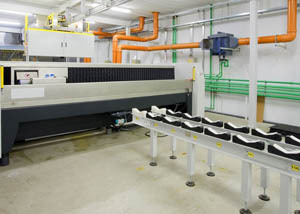 All three products have their own unique features making them suitable for different factory environments and requirements. 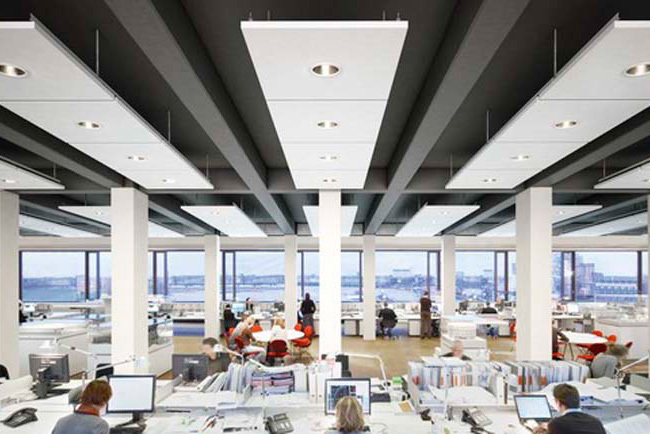 All of the products in this range have been developed to meet the specific requirements of industrial acoustics – ease of installation and optimum sound absorption are key features in all three products. Suitable for industry premises where different sizes and installation methods are required. Grid made from galvanised steel. 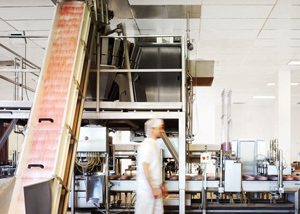 Ecophon offer a complete range of acoustic panels designed specifically for settings where hygiene is essential in food processing and catering settings. 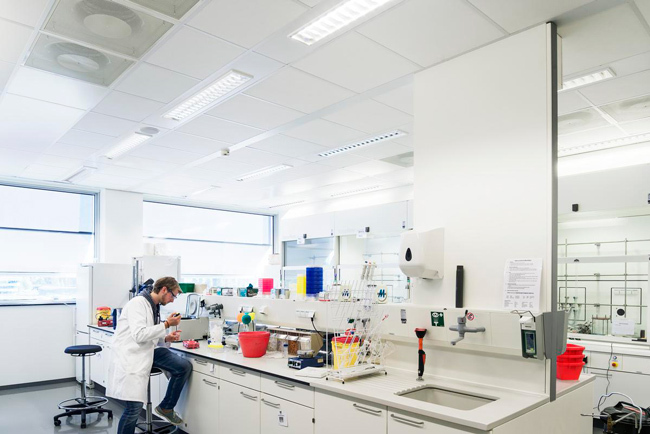 We supply and install three products from the Hygiene Foodtec range, all of which have their own unique features making them suitable for different environments and requirements. 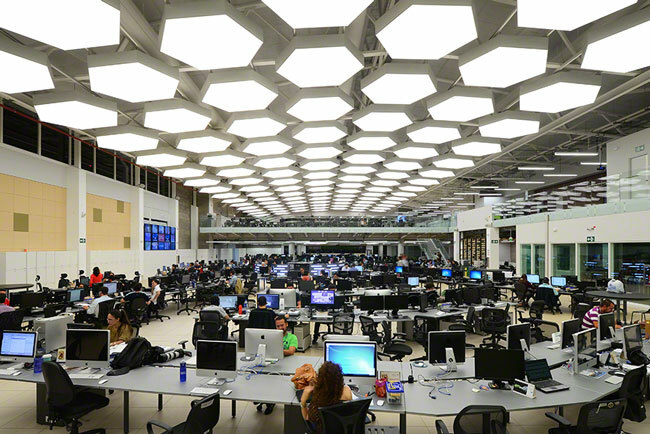 A key feature of all of the products is optimal (Class A) sound absorption. Additionally, each product is unique in being able to withstand the harsh environmental factors and aggressive cleaning methods that are used in the food processing industry. Foodtec Hygiene products ensure the highest level of purity and cleanliness making them ideal for all types of food processing. 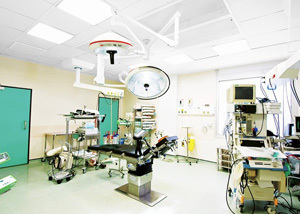 Wall-to-wall ceiling system for environments where contamination is a risk. Perfect for areas with high levels of airborne grease and exposure to cooking splatter and fruit juices. 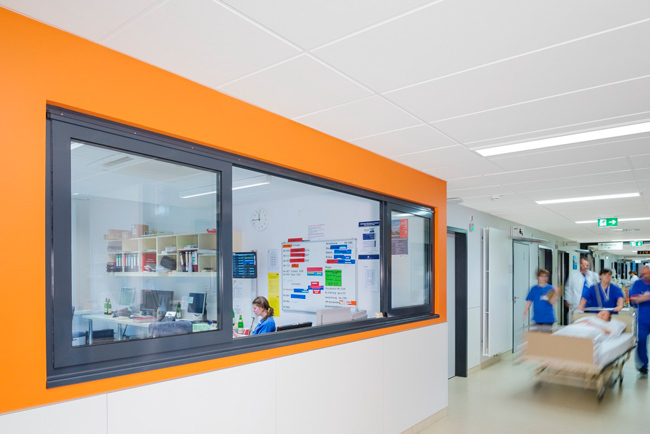 Wall panel ideal for an environment where contamination is present and which requires routine cleaning. 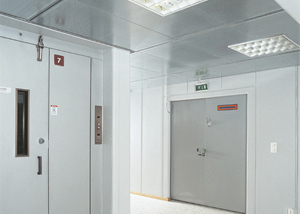 impact resistant panel that is protected from mechanical impact by a corrosion resistant protection cage.